The most awaited time of the day during Shaum is “Iftar” (fast breaking). Especially in the first week of Ramadhan month, I tend to look for something special for Iftar. Since the second day of Shaum is on Friday, I thought it would be nice if I had a special meal for Iftar. 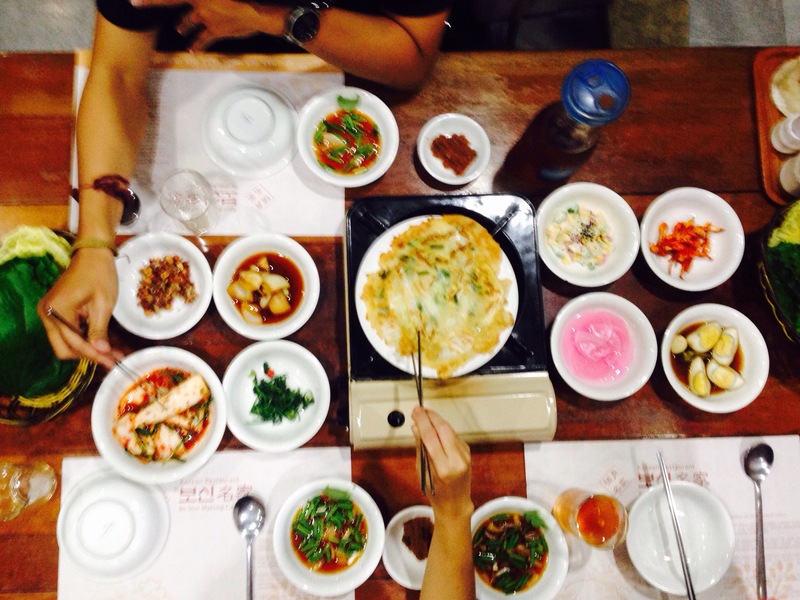 So, after work, Nanda, Rendy, and I decided to look for delicious Korean food near our place. I remembered that I once ate in a Korean restaurant on Jalan Margasatwa called Bo Shin Myeong Ga. So, we drove our car to Bo Shin Myeong Ga. 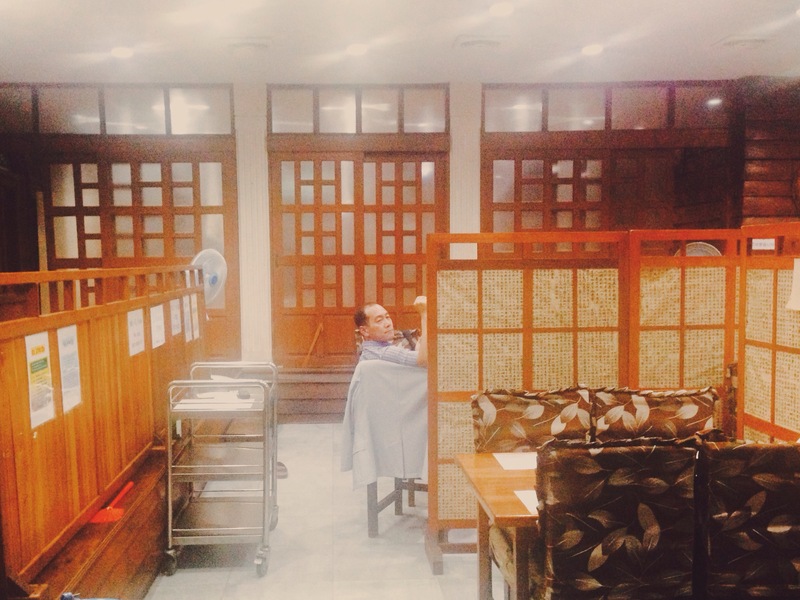 When we arrived, we saw a Korean uncle (Aboji) stood up beside the entrance door. When we came in he immediately smiled and welcomed us. He called one of the waitress to get us to an available table. 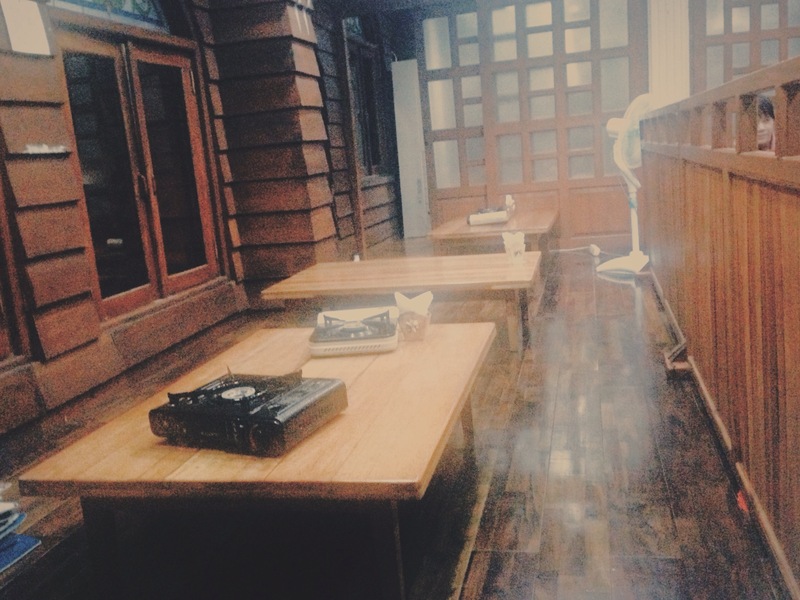 We observed the place for a while, and found out the place is pretty nice, with wood-dominated ambiance and some Korean wall decorating. 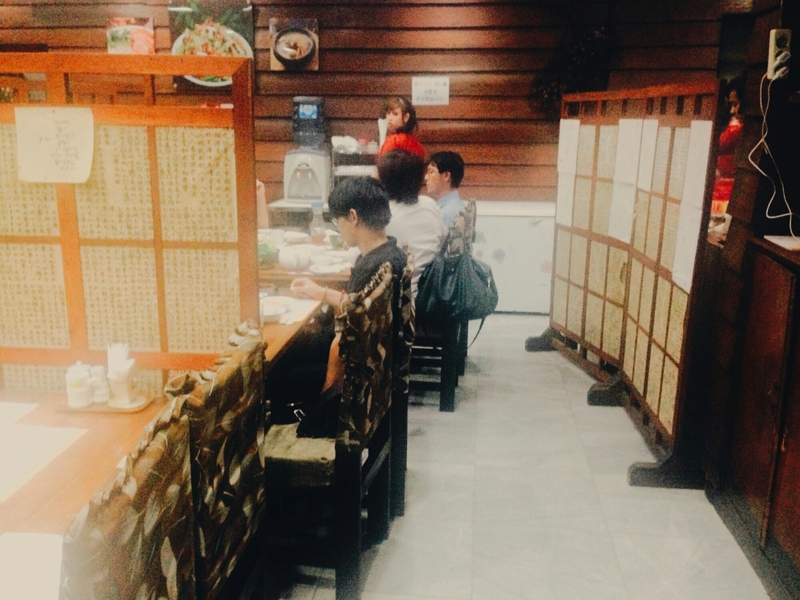 But, it was not only the decoration that gives Korean atmosphere, most customers in the restaurant were Korean! We were the only Indonesian customers there. After we were seated and ready to order our meal, I asked the waitress, who was the Aboji that welcomed us, and she answered he was the owner of the restaurant. We were pretty amazed knowing that the owner himself welcomed us to his restaurant. We had a tough time deciding what we were going to eat because everything in the menu looked yummy. 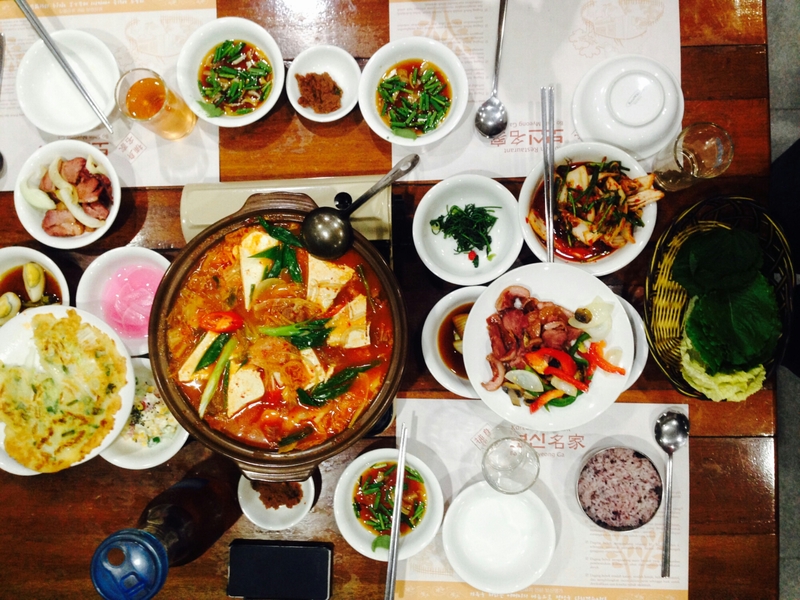 At the end, we finally chose Kimchi Jeongol (a bigger portion of Kimchi Jigae) and Honje-ori Ssambap. Kimchi Jigae or Kimchi Jeongol or Kimchi Stew is the most common Korean stew made with fermented kimchi, pork-belly (but in Indonesia it’s usually replaced by beef since Indonesia is Muslim-dominated country), and tofu. Kimchi itself is a traditional fermented spicy-and-sour Korean side dish made of vegetables with a variety of seasonings. While Honje-ori Ssambap is smoke-roasted duck with Ssambap eating style. Ssambap is a country style Korean food which uses fresh vegetables to wrap the rice and the duck together. To eat Honje-ori Ssambap, we must first take the lettuce and the leaves, put the rice and the duck in the lettuce and leaves, put some sauce or wassabi in it, then wrap it together, and eat it with one big bite. Yums! While we were waiting for our meals to be served, like any other Korean restaurants, the Banchan is served on our table. Banchan is also known as Korean side dish. It’s usually given free when we order the main course. We got gu-cheop banchan yesterday, which means we got 9 small portions of banchan. It didn’t take a long time until our meal were served. We were ready to eat!! The foods are awesome! 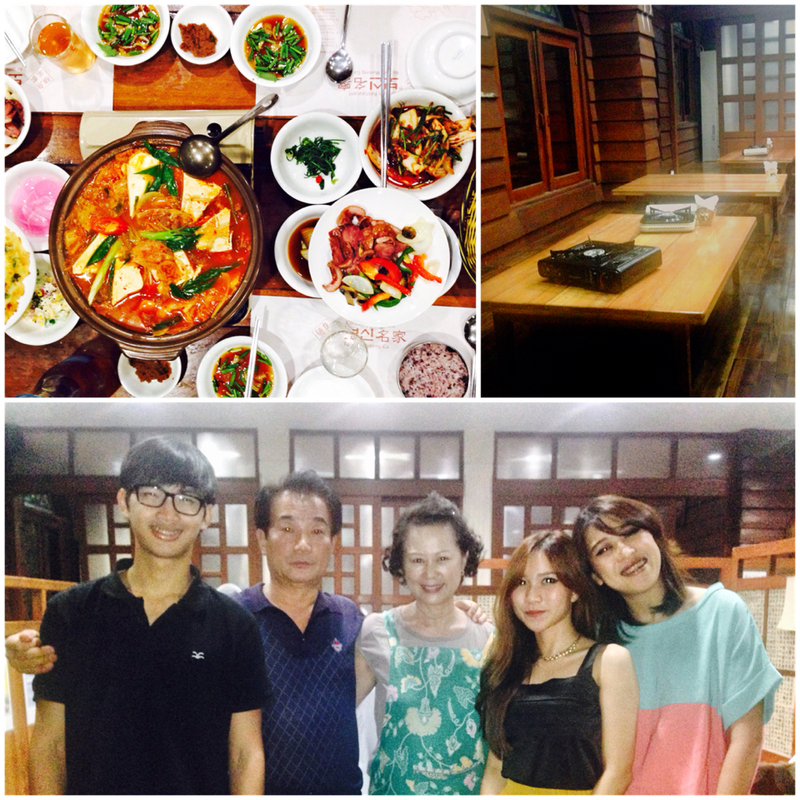 We could say that this is the most authentic Korean restaurant we have tried so far. The Kimchi Jeongol portion is so huge, even Rendy who has ‘elastic stomach’ gave up to finish it. The spicy-and-sour taste of Kimchi Jeongol is just uh-oh baby so suites our taste! The Honje-ori Ssambap was also such a mouthgasm experience. The roasted duck is so perfectly cooked and tender while the Ssambap is so fresh. The sauce also bring the taste to a higher level of delish. We were enjoying our food when a Korean aunty (Omoni) wearing apron came to our table. Nanda who can speak Korean said something in Korean with the meaning “the food is great” to the Omoni. The Omoni looked surprised and even asked whether Nanda is Indonesian or not (well, in fact Nanda doesn’t look like Indonesian at all). We found out that the Omoni is the chef and also the owner of the restaurant (which means she’s the Aboji‘s wife). It’s such a pleasure for us to have the owners welcomed us in their restaurant and treated us really well. Even the Omoni added our Kimchi Jeongol twice! No wonder even Rendy couldn’t finish the whole portion. 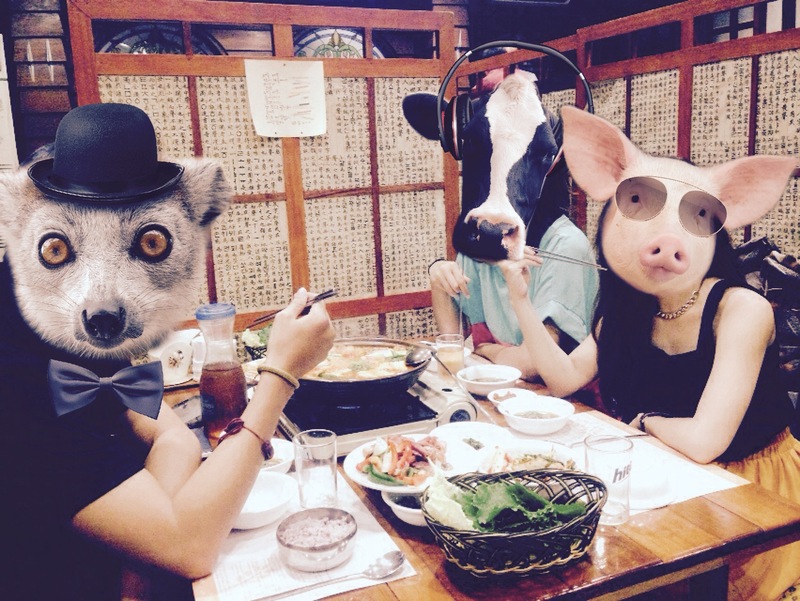 Bellow is the video of us enjoying our meals in Bo Shin Myeong Ga! 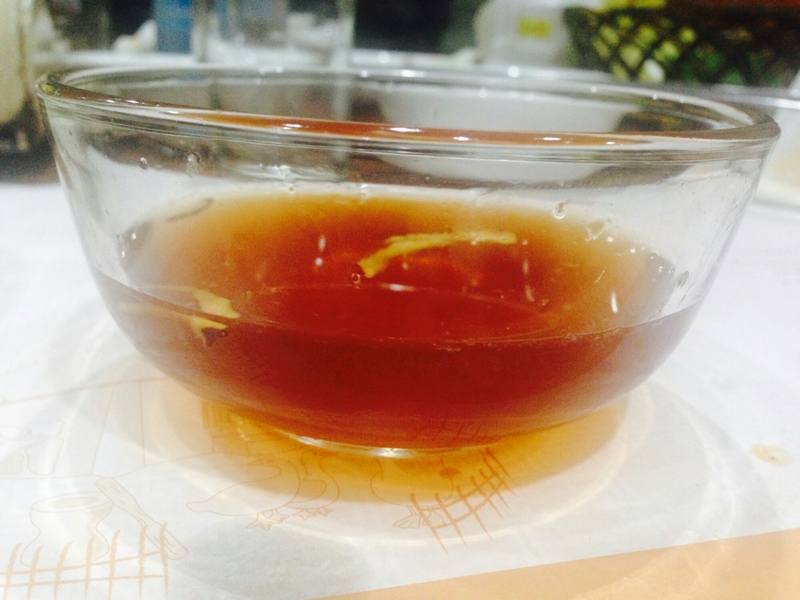 After we finished our meals, the waitress came and offered us the dessert consist of some slices of yellow watermelon and Ogamcha, a traditional Korean drink with alder, licorice, chaga and ginseng. Such a sweet completion to close our dinner. We went to cashier to pay for the foods and we met the owners again. We asked them to take a picture together, they were very welcomed and helped us to find the best spot to take the picture. We had a nice chit chat before leaving, they also gave us a very short Korean course! Hahaha! Finally, it was time for us to go home. The Omoni and Aboji took us to the car and waved goodbye as we left the restaurant. 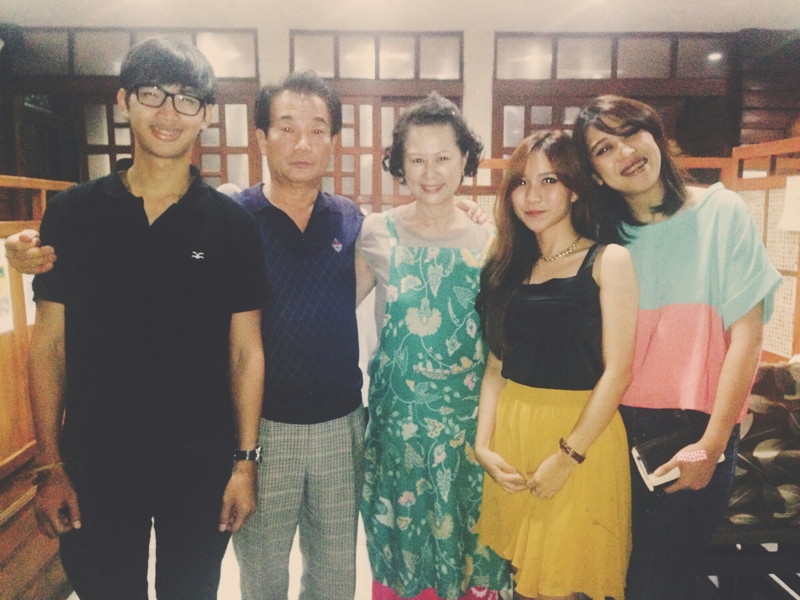 It was such a wonderful South Korea experience in South Jakarta. With its’ nice ambiance, delicious food, great service, and friendly owner, I think it’s not exaggerating if I say that Bo Shin Myeong Ga is one of the best Korean restaurants in Jakarta! Such a great review! You even name it perfectly! I always want to be able to write a review smoothly like yours. Well, I am still learning to do that.